“The Civic Engagement Workshop (CEW) is a weeklong follow-on program for alumni of the Teacher Education Institute (TEI). 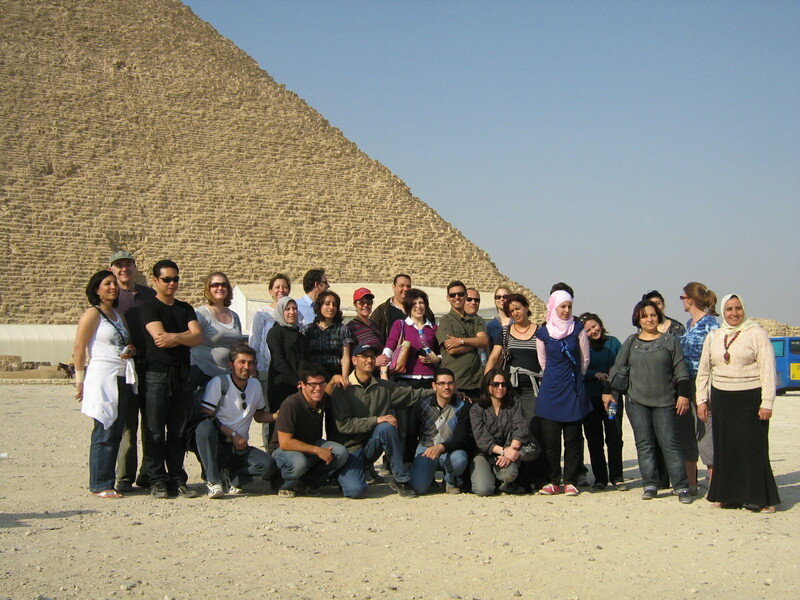 Each workshop unites TEI alumni of one Middle Eastern or North African (MENA) country with a small group of US high school teachers. The workshop furthers the professional development of both MENA-region and US teachers, and promotes regional and international collaboration on projects, events and teaching strategies. The CEW also serves a crucial role as a forum for TEI alumni to develop inclusive, community-oriented after-school activities for their students.